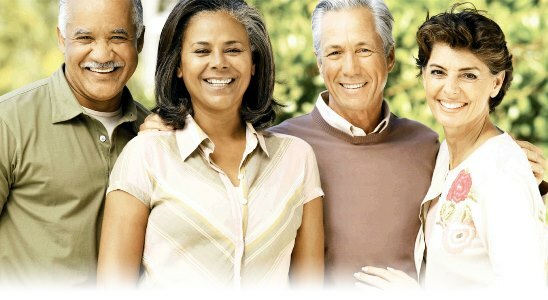 In accordance with State of Texas law, all benefits-eligible employees are required to participate in one of two retirement programs offered by the Texas Southern University. The programs are the Teacher Retirement System of Texas (TRS) and the Optional Retirement Program (ORP). Contributions to the retirement programs by the employee and employer are a percentage of the gross salary as specified by the state legislature. All retirement program contributions are tax deferred and become taxable income to the employee at the time of distribution to the employee. Participation in the Teacher Retirement System (TRS) is open to all benefits-eligible employees of the university. Rights to benefits are vested upon completion of five (5) years of creditable service. Currently, employees contribute 7.7%, and the state contributes 6.8% of their monthly gross salary to a state account to pay retirement benefits. Employees earn interest at a rate of 2% annually on their account balance. TRS includes life insurance and disability benefits. “Regular retirement” is available at age 65 with a minimum of five (5) years of participation in TRS, or when age and service combination equals 80 (i.e. age 52 with 28 years of participation). “Early retirement” with reduced benefits, is available at age 55 with a minimum of five (5) years participation in TRS. Regular retirement benefits under the standard annuity option are calculated as 2.3% times the number of years membership in TRS times the average salary for the highest five years of participation in the program. Further information on the TRS program is available on the TRS web site and TRS Benefits Handbook. TRS also provides a useful tool to assess an estimated retirement date. If interested, please click on TRS Retirement Estimate Calculator. Optional retirement plans are available to full-time (100 percent FTE) benefits-eligible faculty members and certain professional/administrative staff under the provisions of State law. Employees may obtain a list of approved companies and their representatives from Employment Services and Operations. It is the employee’s responsibility to select a company in which to invest their retirement contributions. The employee contributes 6.65% of their gross salary monthly and the state contributes 6.6% of the employee’s gross salary to the ORP account. Employees who were employed by the State of Texas prior to September 1, 1995 should contact the Benefits Office for information on the amount of state contribution made to their account. Contributions made by the university to the optional retirement program are vested for employees after one year and one day of participation in the program. Participation in ORP is a one-time election and must be made in writing within 90 days of the date an employee becomes eligible. Eligible employees will be enrolled in the TRS program until an election for ORP participation is made in writing. If an employee does not submit an application for ORP participation before the expiration of the ninety (90) day election period, ORP eligibility is forfeited and the employee must remain in the Teacher Retirement System of Texas for the remainder of their employment in higher education in Texas. Retirement benefits under the ORP are based on the account value and the age of the participant at the time of retirement. Several distribution options are available to the employee at the time of retirement. Employees should consult the Benefits Coordinator in Employment Services and Operations for eligibility requirements and additional information on the ORP program. For a listing of Texas Southern University Optional Retirement Program Carriers, please contact the Office of Human Resources at 713-313-7521. For a complete summary of TRS and ORP benefits, please click on TRS/ORP Overview.